We’re coming up on Fat Tuesday, which means many are looking for Mardis Gras shows before they calm down for Lent. Or maybe folks just want another reason to party. Anyway, I’ve listed a couple, and there’ll be at least one Brazilian style Carnaval next weekend. But right now, you have lots of music for the week. Have fun! Connie Evingson @ The Women’s Club Lounge, Minneapolis. 6pm – 8pm. ($10) Tanner Taylor on piano, and Dave Karr on sax will accompany Ms Evingson in the cozy confines of the Women’s Club Lounge. Open to non-members. Cocktails and appetizers are available. Evan Montgomery Quintet @ Jazz Central, Minneapolis. 9pm. ($7) Evan Montgomery is a guitarist who uses clean lines and a fertile imagination to create original music as well as arrangement of Radiohead covers, Bill Frisell tunes, and others. Expect some guitar fireworks as he is joined by Park Evans, another creative guitarist. Other members of the quintet are Adam Meckler, trumpet; Matt Peterson, bass; and Jay Epstein, drums. Fuzzy Math @ 318 Cafe, Excelsior. 8pm ($6) The 318 Cafe is a cozy space, with room for about 40 people or so. It’s a bit of a trip to get out there if you’re a city-dweller, but omnivorous music fans who find their way to Excelsior will be rewarded with jazz-oriented music that has swing, funk, and latin influences. Phil Hey Quartet @ The Artists’ Quarter, Saint Paul. 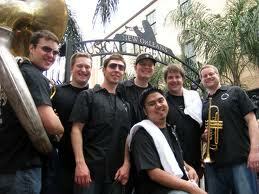 9pm ($5, 2-4-1 cover after 11pm) Simply the best jazz ensemble in town. Their repertoire includes tunes by Bobby Hutcherson, Ornette Coleman, Mingus, and Trane. It’s heady music by veterans who could swing the National Anthem, if called upon. The ringleader is Phil Hey on drums, with significant contributions by Dave Hagedorn on vibes, Phil Aaron on piano, and Tom Lewis on bass. Bryan Nichols Trio @ The Artists’ Quarter, Saint Paul. 9pm ($10) Includes the Bates Brothers Pianist/composer/teacher Nichols creates intriguing tunes and improvisations. Tonight he’s joined by Chris Bates on bass, and JT Bates on drums. This combination is a good at communicating as any trio, creating lots of unexpected twists and turns. Patty Peterson & Friends @ Bunkers, Minneapolis. 9:30pm ($10 ) Patty is bringing along special guests Steve Cole on sax and Ricky Peterson on B3, not to mention regular friends including Paul Peterson on bass, Billy Franze on guitar, and Bobby Vandell on drums. Patty is just as likely to dip into an R&B mode as jazz, but it’s all good, as they say. Given the venue, I’m sure some tunes will provoke dancing. Thomson Harris Collective @ Studio Z, Lowertown Saint Paul. 5pm Workshop (Free), 7pm Performance ($10) Chris Thomson on sax, and Zacc Harris, guitar, are collaborating on a new group, which includes a rotating cast of rhythm players, which tonight includes two younger players, Brian Courage on bass and Miguel Hurtado on drums. 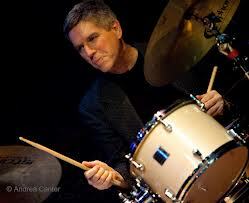 Thomson will hold a free workshop at 5pm on Melody Matters: the Common Pitfalls of Jazz Improvisation. Attendees get $2 off the 7pm show. Dave Graf Quartet @ Jazz Central, Minneapols. 8:30pm (Donation) Dave Graf is one of the premier trombone players in town. His warm, burnished sound is equally at home in Latin, jazz, or show settings. 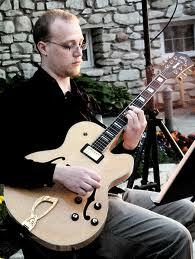 He’ll be accompanied by Chris Lomheim, piano; Matt Peterson, bass; and Mac Santiago, drums. The results are sure to be uplifitng. Jack Klatt Send-off and CD Release @ The Dubliner, Saint Paul. 5:30pm – 7:30pm Klatt is going South on a solo tour for many months, but before he does, he’ll be picking up copies of his new solo CD and playing at the Dubliner, along with his pal Mikkel Beckman on washboard. Expect some blues, rags, early Americana, and maybe a bit of swing. Medicinal Jazz Band @ The Black Dog, Saint Paul. 7:30pm – 10:30pm (Tip Jar) Jazz, Klezmer, and Dixieland from Noah Strom on accordion and keys and Sam Ryan on guitars and vocals. 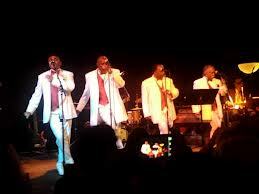 Funk & Soul All-Stars and Derobe Dance Band @ Icehouse, Minneapolis. 10pm ($10) The Secret Stash Records guys are upping the ante, bringing out the Funk & Soul All-Stars one more time, featuring Maurice Jacox and the Valdons. The Derobe Dance Band is another Secret Stash band, playing danceable Afrobeat rhythms. After the reception that the All-Stars got a the Current shindig at First Avenue, it’s expected there will be a crowd, and the folks at the Icehouse are taking the chairs and tables out, so be forewarned. Paul Cebar @ Lee’s Liquor Lounge, Minneapolis. 9pm ($10) The Dance-Happy folks who’ve been following Paul for twenty years along with new converts, will turn Lee’s dance floor into a writhing mass of joy. Crankshaft & the Gear Grinders CD & Vinyl Release Party @ Famous Dave’s, Minneapolis. 9pm ($6) The new album of all-original tunes was recorded in the hayloft of a barn in St. Francis, and the acoustics perfectly fit Crankshaft’s rockin’ roots/blues. A couple of tunes feature horns, giving them a New Orleans vibe. Kudos to Crankshaft and his Gear Grinders, Keith Boyles on bass and Pete Hennig on drums. Vusi Mahlasela @ The Dakota, Minneapolis. 7pm ($25) He’s simply known as “The Voice” in his home country of South Africa. At times you can hear sweet traces of Sam Cooke, though Vusi has his own take, which includes optimistic, and sometimes intense readings of songs about liberation and freedom. Here’s a video of one of his songs. Jack Brass Band @ Amsterdam Bar & Hall, Saint Paul. 9pm. (Tip Jar) It’s Fat Tuesday, traditionally the final night of Mardis Gras as folks do the last of their celebrating before Lent begins. The Amsterdam not only has JBB, a too-much-fun group that marched in a New Orleans Mardis Gras parade this year, but they’ll be serving Abita Beer, from Louisiana, and they’ll have a crawfish boil as well. Sixth Annual Mardis Gras @ the Eagles Club, Minneapolis. 7pm – 11pm. ($12) In the other half of the Twin Cities, you can celebrate Fat Tuesday with four bands covering the whole spectrum of Louisiana music as well as Cajun Cuisine. 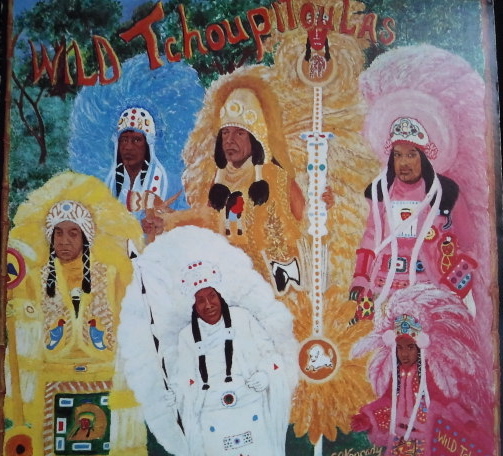 In order of appearance, you get The Faux Playboys, Mister Rowles, The Southside Aces, and the always Rockin’ Pinecones. Paul Collins’ Beat @ The Turf Club, Saint Paul. 9pm ($8) If you aren’t looking for a Mardis Gras celebration, you want to check out the American rock and power pop of Paul Collin’s Beat. Collins started The Beat in Los Angeles back in the late 70s, and resurrected the band as the Paul Collins’ Beat in 2006. With the Magnolias and the Pinsch. This entry was posted on Wednesday, February 6th, 2013 at 4:57 pm and is filed under Weekly Preview. You can follow any responses to this entry through the RSS 2.0 feed. You can leave a response, or trackback from your own site. One more Mardi Gras event Tuesday the 12th (starting early, in case you want to head to something later, or just home to bed!) is The Mystic Order of Reverb and Twang at Honey Lounge, NE Minneapolis. Happy hour 7-9 PM, with New Orleans R&B, jump blues and rockabilly. $5. You know the Battle of the Jugbands is this week end. Our band is playing Saturday about 4 PM at the Nomad with members of the Sorry Muthas: Bob Stelnicki “The Great Bobo” [world’s greatest washtub bass], Cal Hand – Dobro, Bill Smith – Harmonica and Papa John on 12 String. Merlin’s called me last week to fill a cancellation. She requested that I do a 12 String Show. I suggested I bring my old band mentioned about. She said Great! So Papa with his ol’l band the original Sorry Muthas will be at Merlins Rest, Saturday, Feb 9 for 8:30 to 12:30 [a Rare twin cities event]. Judy larson will most likely be there but we are not sure of her participation. Sorry for the last minute nature of this. This is all happenin’ and the last minute.